New Port Richey is a city in Pasco County, Florida, United States. It is a suburban city included in the Tampa-St. Petersburg-Clearwater, Florida Metropolitan Statistical Area. 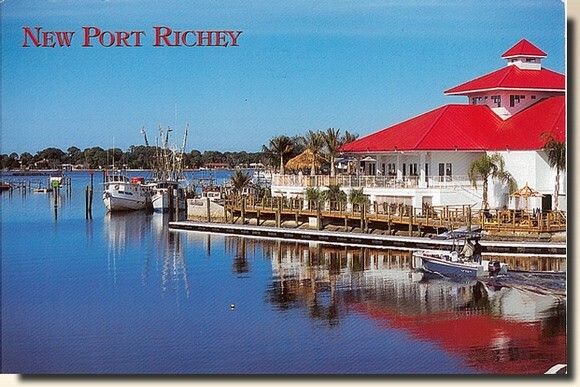 In 1915 a separate post office was established for the residents of the southern part of Port Richey. The post office was named New Port Richey. The first postmaster was Gerben DeVries. The growth of the city came about after George Sims purchased the Port Richey Land Company. He built a home in New Port Richey in 1916. The first Chasco Fiesta was held in 1922 to raise money for the local library. The event was revived in 1947 and has been held annually since then. It includes a large street parade and a boat parade on successive Saturdays.